I hope you all had a restful bank holiday weekend. I’ve tried doing an evening or days without technology but with my husband running businesses it’s quite difficult for us to totally switch off. However, sometimes it is a great feeling to shut off that part of your mind like I did for parts of this bank holiday. Recently, we took our wonderful niece, cousin and cousin-in-law to a restaurant and then afterwards to watch Paddington bear and just hang out. Every time I’m around family or just have long over due catch ups with friends and loved ones, I find I need nothing else. If I’m walking or going for a jog, I don’t need technology either. I find it remarkable that sometimes we need to schedule time to switch off, or maybe that’s just me. I also find it amazing as to how much more calm I feel the less I look at multiple screens. So now, the only time I am at my multiple screens is via work or the blog. That’s a good balance. I also find that I return to screens more focused and more productive as a result of down time! So what do you guys do? 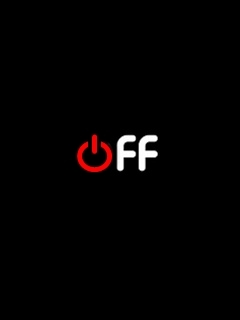 Do you switch off from the world from time to time, do you do it every day? Do you need to remind yourself to do it? As always comment below. If you like my ramblings let me know, and let me know what your favourite posts are! Do you love it? Share this!